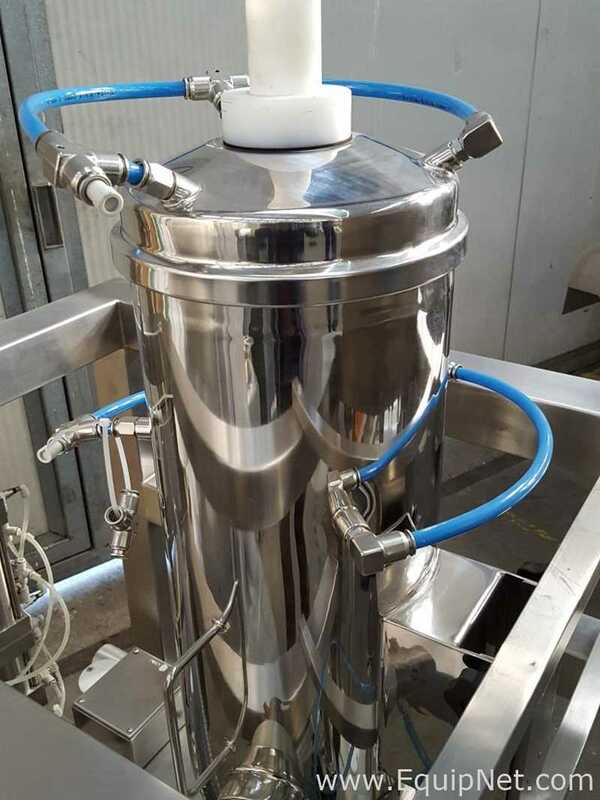 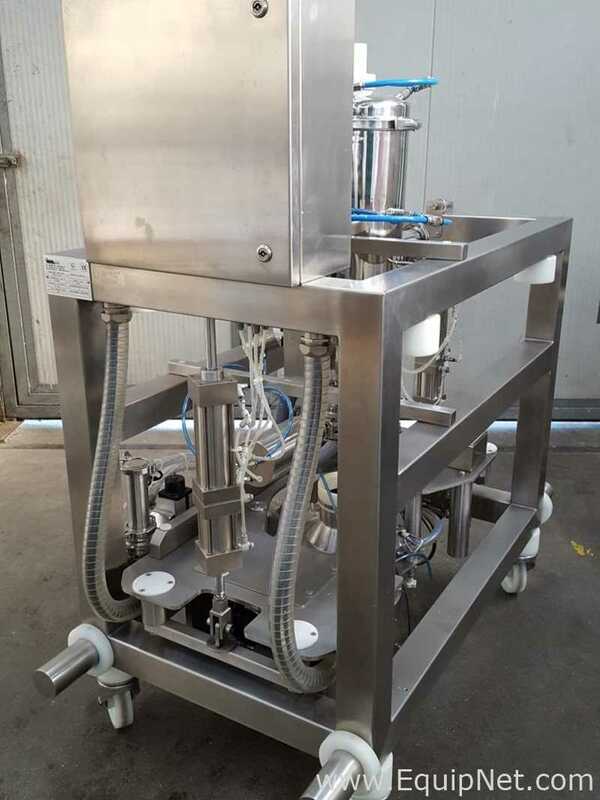 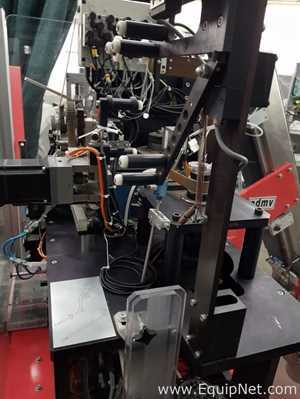 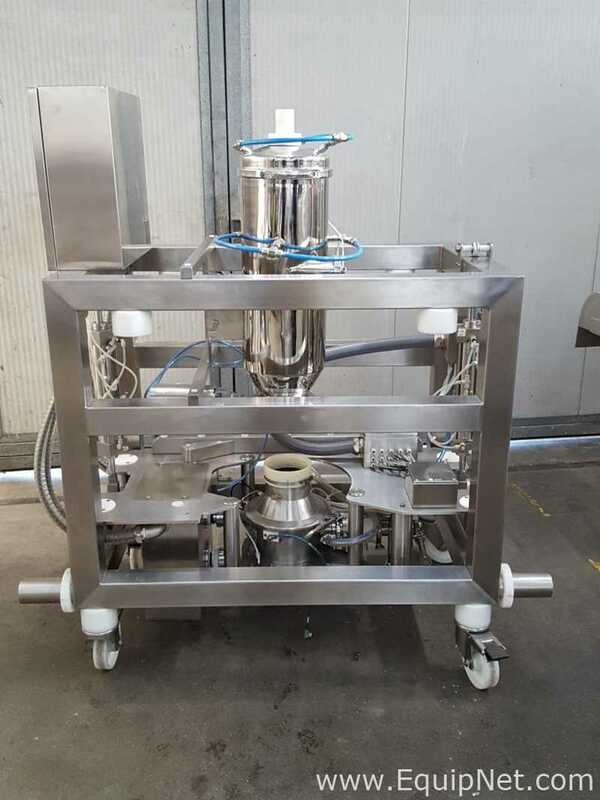 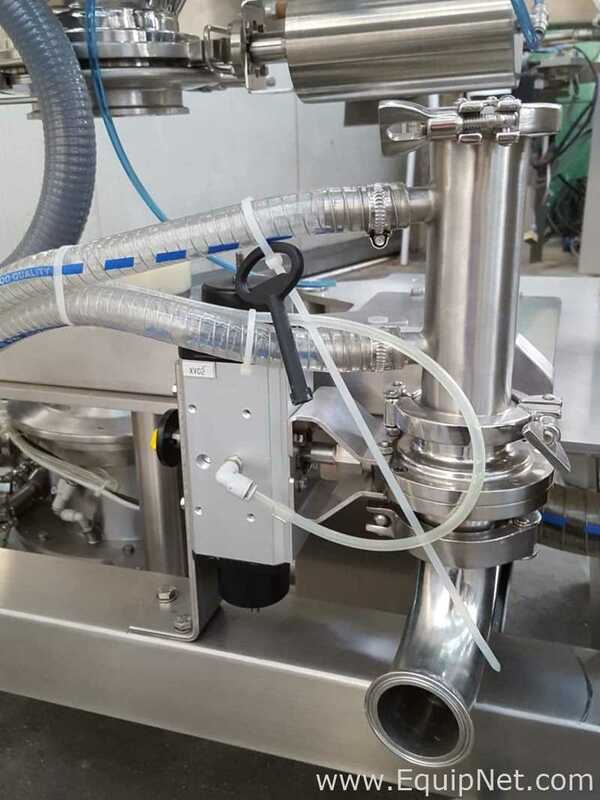 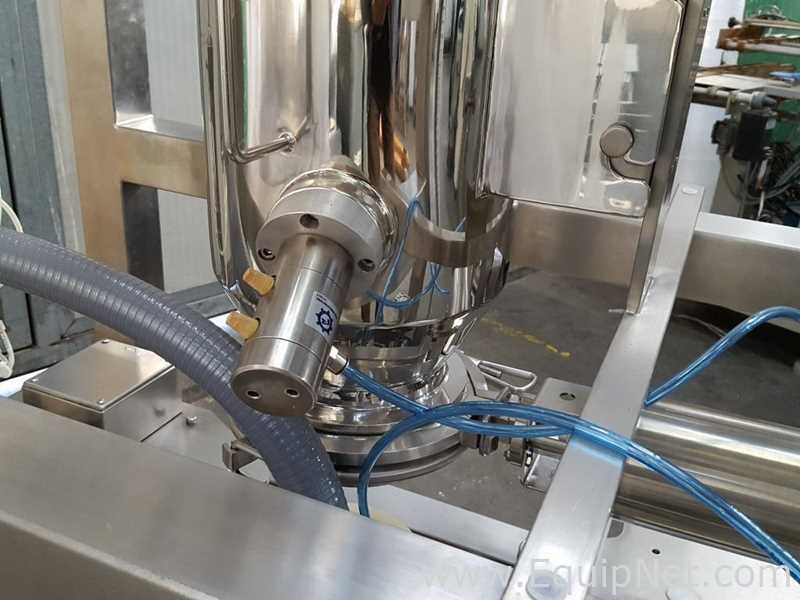 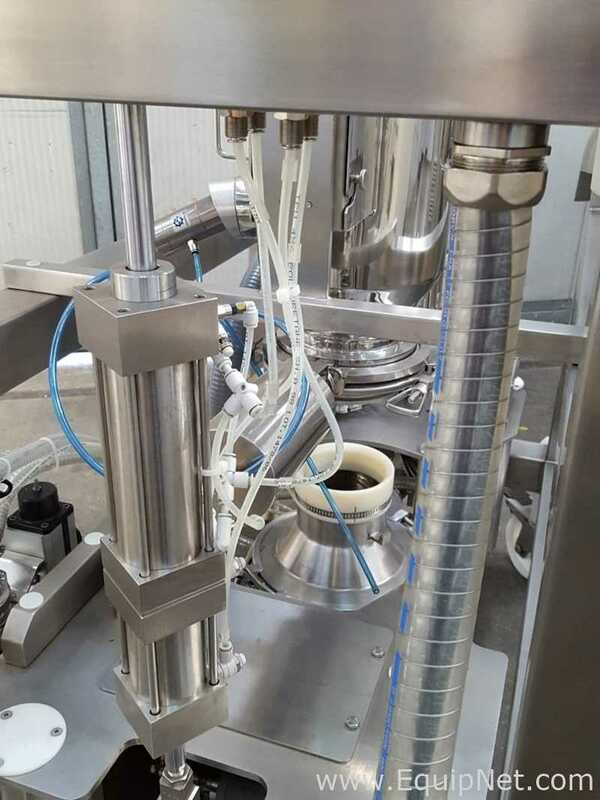 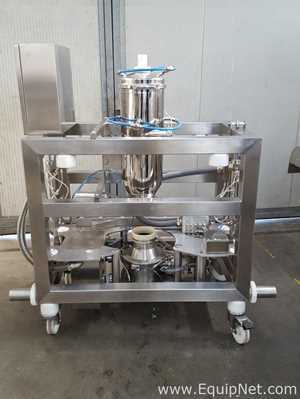 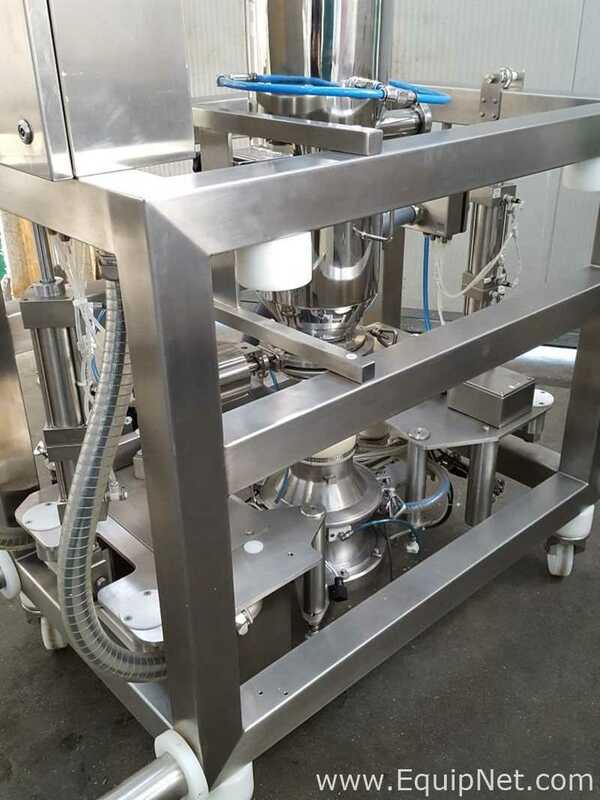 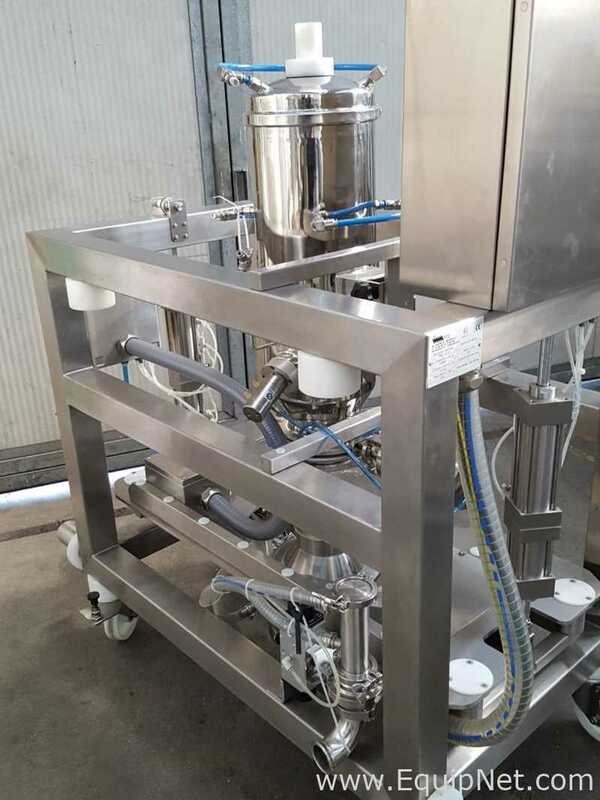 The machine has been developed as a transfer unit for powders and granules with twin valve – a special double butterfly valve, rack and vpc. 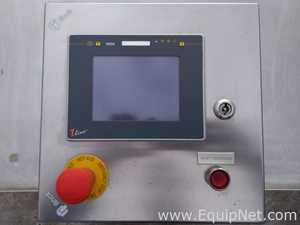 The closed system for the transfer of the material ensures that the powders do not escape into the atmosphere and contamination from outside can not enter the system. 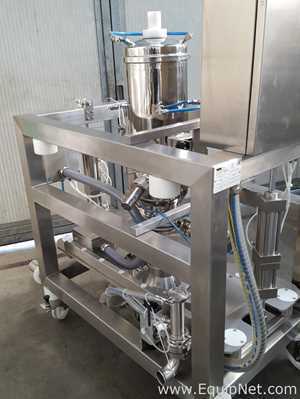 The machine acts also as a temporary storage container, taking the process material until it is ready to be discharged or uploaded into the processing machine. This allows the process to be closely monitored, as the speed can be moderated in accordance with the requirements of each customer. 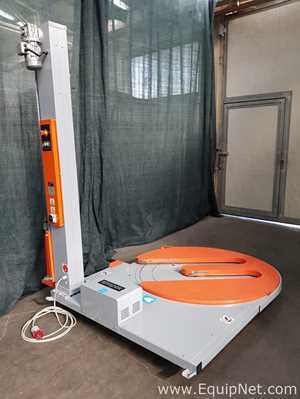 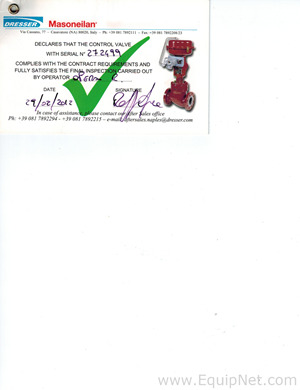 Its construction is sturdy and compact, access to the internal mechanism is quick and easy. 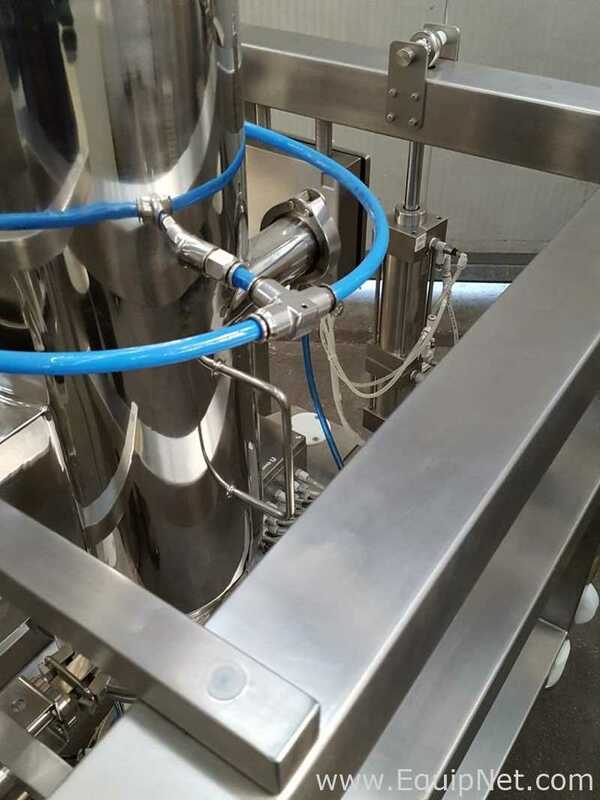 The unit is a component for the continuous discharge of powder products from silos, hoppers, pneumatic conveying systems, filters, cyclones. 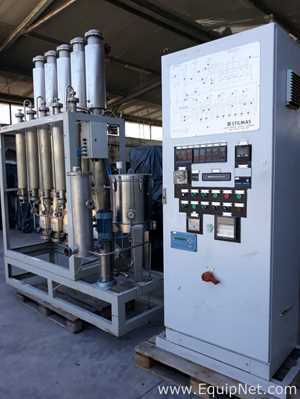 The "Twin Valve" system with high containment and integral cleaning has been studied as an alternative to so-called "split" valves, that is, having a body divided into two parts, which can be coupled together, with a "passive" part on the exhaust of the mobile container An "active" part on the receiving station. 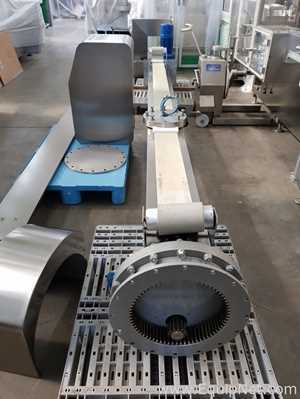 The "TwinValve" system is instead made up of two sanitary-type butterfly valves, one container outlet and one on the discharge station. 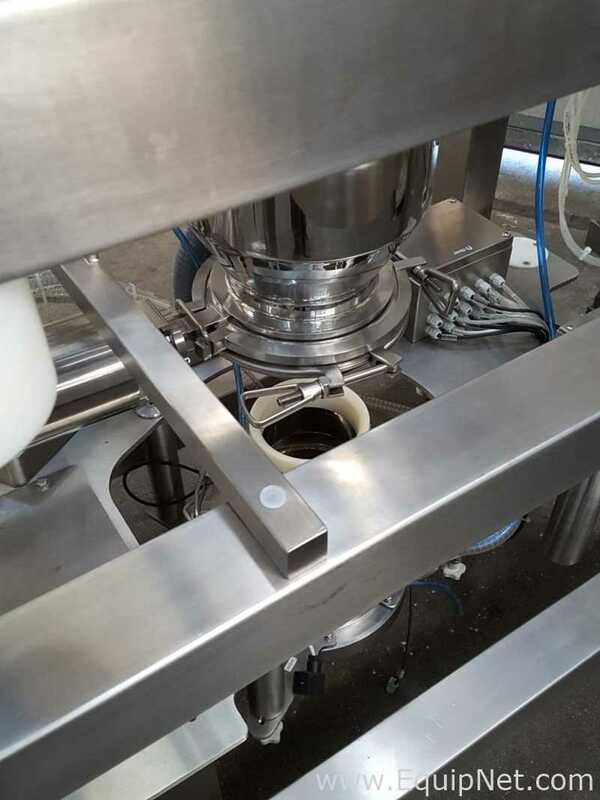 The container has a standard type butterfly valve while the other, while remaining in its essential parts a standard valve, is integrated into a cylindrical mini hopper made according to a specific design. Once the container is placed on the station, the two valves, rather than pairs like the "spilt" (bring the two contact bags), remain spaced by creating a small volume chamber tightly sealed at the ends of the valves themselves. 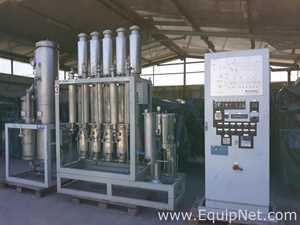 The two valves can be opened and closed simultaneously and independently of each other. 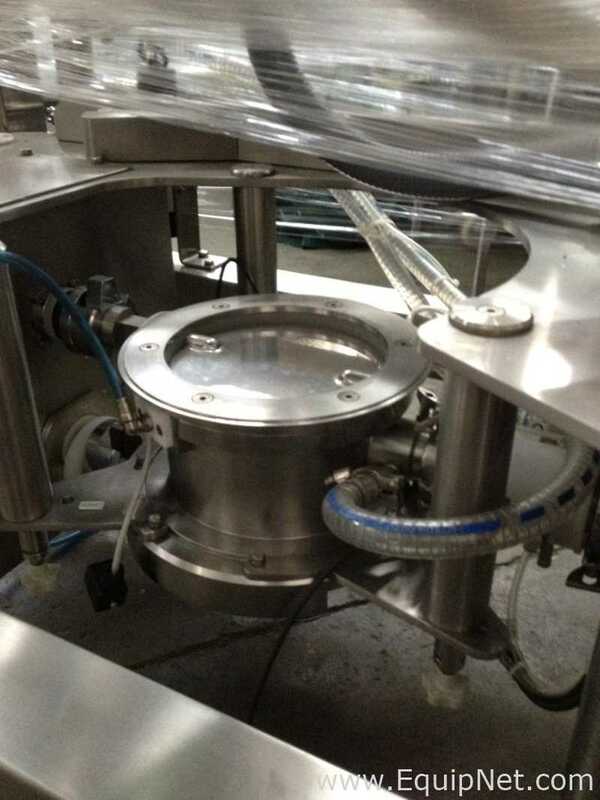 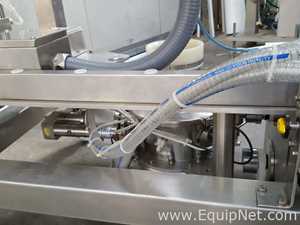 The chamber thus formed can be "washed" with a series of compressed air jets (or fluid filters) both before the product is unloaded from the container, so as not to contaminate the product, before removing the discharge contents Finished, to avoid possible contamination of the environment. 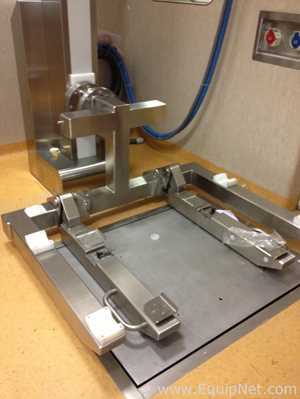 Finishing materials: The external surface of the frame, all made of stainless steel with welds, while the inner one is polished. 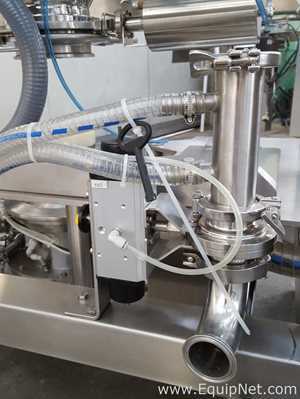 Sealings are silicone according to FDA standards.